Segment B car reviews – Hyundai Santro Xing and the Chevrolet Spark | Globonomics! In continuing with my reviews of cars in a different segment in the Indian automobile space, I will speak of two cars namely the Chevrolet Spark and the Hyundai Santro Xing. The picture above is of a Hyundai Santro Xing. 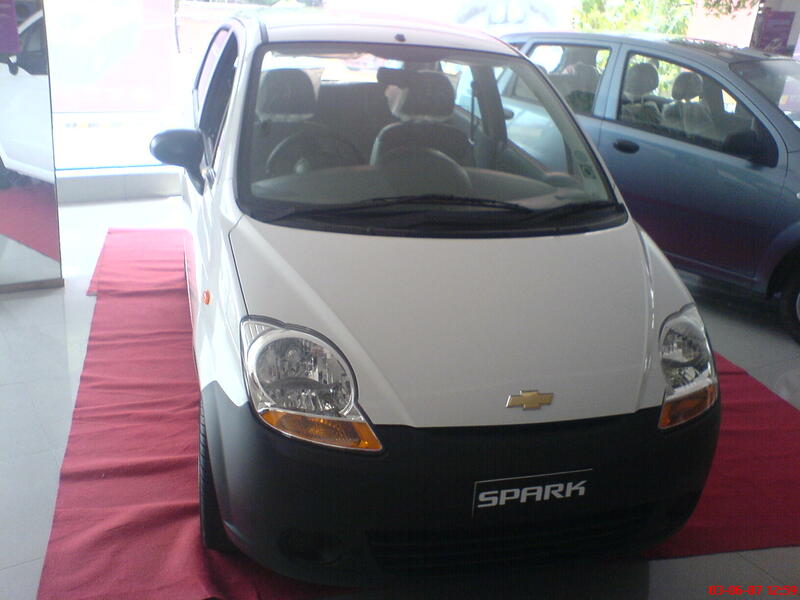 To begin the comparison and analysis, first, lets begin with the Chevy Spark (or should I say the rejuvinated Daewoo Matiz)? 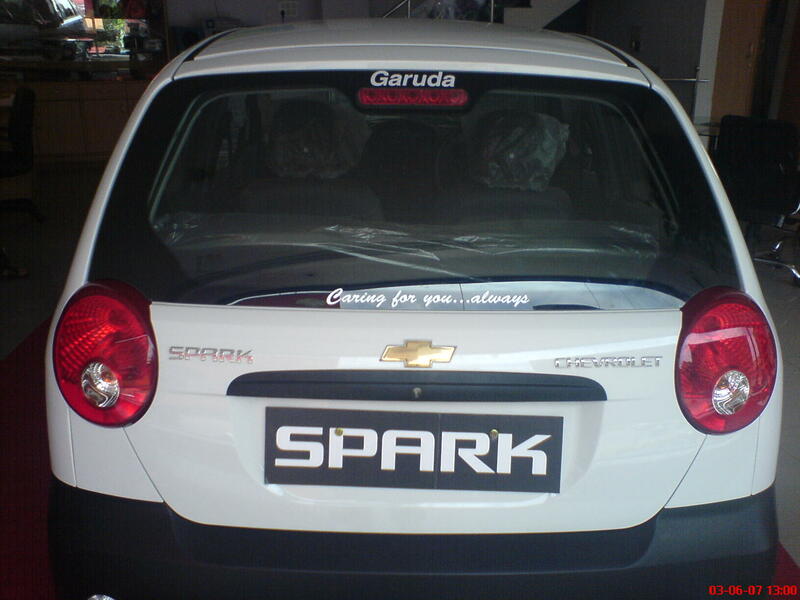 The erstwhile Daewoo Matiz was bought over and given a new look by General Motors (GM) and rebranded as the Chevy Spark. The interiors of the Chevy Spark are comfortable, the seating adjustable for the front seats, the dashboard is styled at the center (a little bit of an inconvenience for shorter people who would find their view getting affected due to this dash protruding from the center of their eye view). The leg room is ample, the engine noise is extremely low and almost inaudible! One would’nt know if the car is running or not! The Aircon makes quite of a sound with the blowers and is not all that effective (a tad bit better than the Maruthi 800 AC). The mileage (I am told) is about 14-15 kms to a liter in city conditions as rated by independant reviewers and older owners of the Daewoo Matiz. 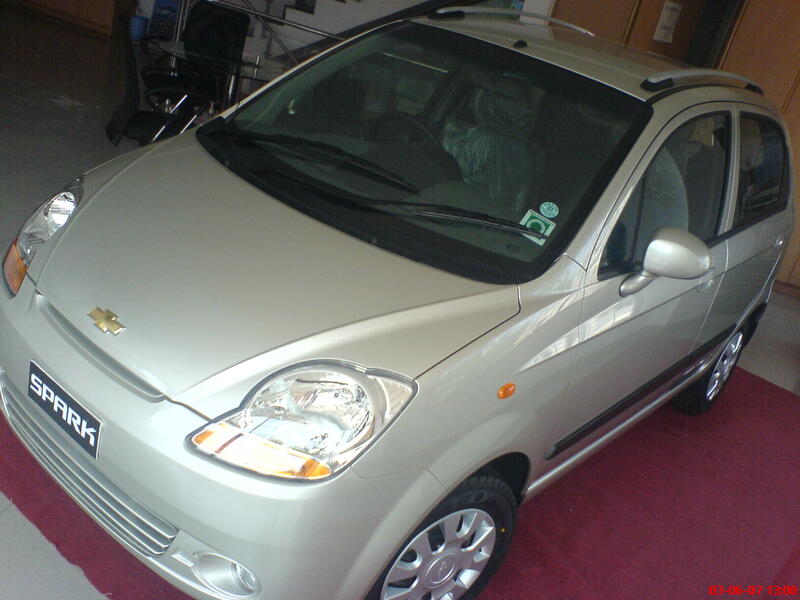 This car is 2 generations ahead of the Daewoo Matiz that really rocked this small car segment. The boot space is slightly small and only the higher end models have the rear seats that fold completely onto themselves thereby enhancing the boot space. The rear seats are comfortable. The finishing on the interior is good. Power windows is only for the medium models and for the front 2 seats and for all the 4 doors on the higher end variant. The exterior is a tad bit better than the quintessential Daewoo Matiz. GM has done some rework on the Chevy Spark to shake off that Daewoo look and it reflects especially in the bright sporty colors such as the Yellow or the Red. Overall, the Chevy Spark has targeted the young 20-30 year demographic section of the populace and this car might do well (esp. given it has the goodwill of its predecessor supporting its brand name). One of my biggest concerns is the limited service center outlets for this car – this could really be where GM lags behind. Their dealership network has to improve else it will lose out to stiff competition from Maruthi or Hyundai. Gear shifts/handling of the car is quite good. The road is easily visible for taller people and the power steering adds to the comfort of handling this tiny car! Overall, the car gets a 6/10 in the interiors (GM might want to take a relook at the old fashioned Renault Logan type left hand controlled indicator controls etc. and to reposition its main dashboard at the drivers end rather than at the center of the car dash console – this idea did not sound great). I can’t believe GM ignored this minor aspect and it again shows lack of attention to detail esp. as far as the Indian entry level car buyer is concerned. Pricing is decent esp. for entry level small car buyers and it can be rated at 7/10 due to the no frill benefits that this car has to offer. The service side of it can be marked as 5/10 which is quite dismal – you don’t want to be stranded in the middle of nowhere with no one knowing how to repair your car. As far as I know, there are only 4 outlets all over Bangalore – Garuda (Lalbagh road, Kanakapura road) and two others. We went all the way to the other end of Bangalore city on the outskirts on outer ring road – where Advaith Hyundai has opened its new dealership and we were not dissapointed. The car, the salespeople, the ambience, all worked magically and we have almost made up our mind to buy a Santro! I took a test drive again on both the regular Santro Xing XO and the higher end model – the Hyundai Getz though I must admit the Getz only adds incremental benefits and does not justify its price point (a tad bit higher than the Xing – by about Rs. 60K or Rs. 70K than the Xing). Hyundai has really paid attention to detail on almost every aspect that the Indian car buyer seeks. Plush, comfortable, a very powerful Aircon, good overall view of the road ahead, the adjustable seats, the power windows, the adaptation to the Indian conditions (ex: ground clearance, the ride height, the shocker absorbers), the boot space – all are terrific! 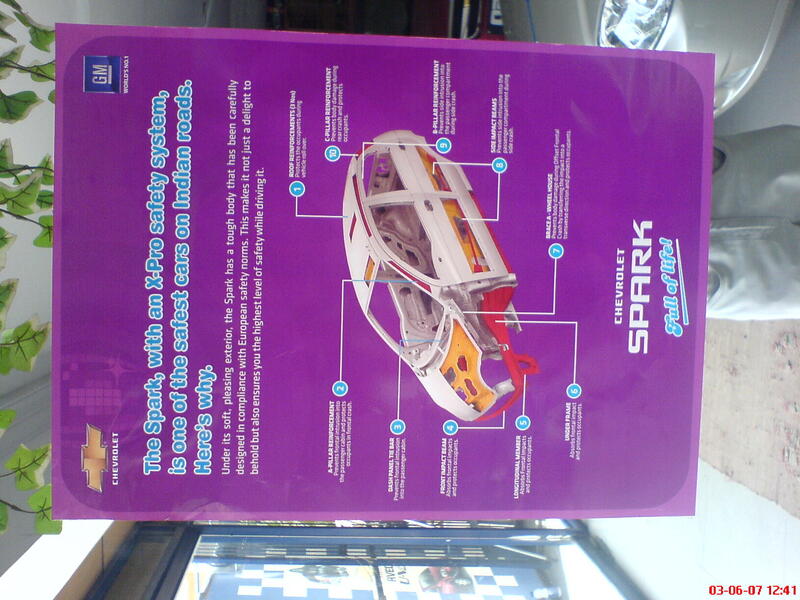 I got the feedback from my family member that the leg just meets the clutch and the accelerator and you don’t need to search for them. Mileage is a proven 12-14 km to a liter in city conditions with the AC turned on. The handling is smooth, the power steering gives you a good grip on the road. The boot space is ample and the rear seats fold onto themselves to give you that extra boot space when you need it! The exteriors are much improved from the earlier versions of the Santro. The Safety features are traditional Hyundai and I have it proven by my cousin who was in a car crash involving a Hyundai Santro a few years ago and it is testimony to the fact that Hyundai take their car occupants safety seriously that my cousin escaped unscathed while his car was completely gone and took all of the damage itself – the good part is that the car absorbed the entire shock which is what a car should do in situations such as those. The engines collapse in the event of a frontal impact and the side beams provide a safety net around the passenger cabin. We even saw the automatic transmission of this car. The car itself (Hyundai Santro Xing) comes with a few dealer discounts such as a Blaupunkt /MP3 stereo system free with 2 front speakers. Pricing of the base variant with the power windows and the power steeing comes upto a healthy Rs. 4.2 lacs. Overall the car rates very highly on my tracker. A great way to save on Auto Repair is to learn it yourself. Consider learning Paintless Dent Removal .